And as an immediate follow up to that word: "You friggin idiots!" On January 20th, 2009, in Washington D.C., America ushered in a new era in world history as it inaugurated its first African American President. This ceremony held a special significance for this country because the same person who we all saw sworn in as the President under Article II of the Constitution last weekend was, at one time in this nation's history, considered 3/5 of a man under Article I of the very same Constitution. 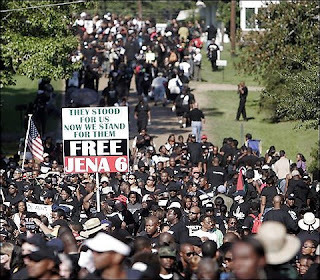 Thus, by going from slavery to the Presidency, it is difficult to overstate the significance of the progress made here not only by African Americans but by America herself. Good job, America. Yes, Chris Wallace of Fox News said, with a straight face no doubt, that he was "not sure if Barack Obama really is the President of the United States..." because of the gaff that took place during the oath of office administered by Chief Justice John Roberts. The important word to hone in on here is the word "faithfully." Roberts, who actually has a solid reputation as one of the sharpest legal minds on the Court, perhaps a bit nervous in the presence of over 2 million people, mistakenly transposed the word "faithfully" from its rightful position before the word "execute" as it appears in the Constitution above, and placed it after the first part of the entire sentence. So in stead of saying "faithfully execute the Office..." as the Constitution calls for, Roberts said "execute the Office...faithfully." So what does this mean? 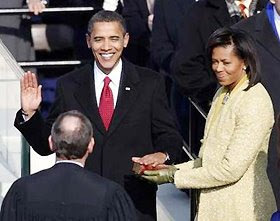 Well seeing as how there is literally ZERO case law on Chief Justices botching up Presidential Oaths with respect to whether or not a person actually becomes the President, we really cannot say what, if any, legal effect the Oath that was administered on January 20, 2009 had. 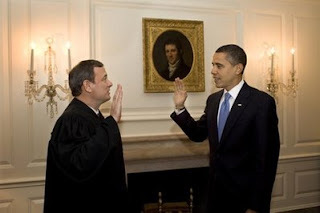 So to avoid any confusion, and to spare us from hearing friggin idiots like Chris Wallace on Fox News drone on about how Obama is not the "real" president, on the following day, January 21st, 2009, Chief Justice Roberts and President Obama decided to administer the Presidential Oath again in the Map room of the White House. So everything is good right? Well it's a good thing that Article II of the United States Constitution makes no such requirement for a Bible to be used, now isn't it? Sometimes I really wonder about these people. And even if there were such a requirement, which there is not, he actually did swear in on the Bible at the inauguration on January 20th. But I suppose the counterargument to that fact is to point out that the entire January 20th swearing in is null and void, so the only one that counts is the January 21st swearing in that failed to use a Bible. 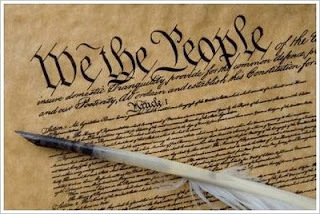 Nevertheless, the text of the Constitution does not call for a Bible to be used at all. In fact, it doesn't even require the President to swear on anything at all; alternatively, he or she could "affirm" the 35 words of the Oath if he or she were so inclined. Again, to recap...is Barack Obama the President of the United States? Yes. Two Times!!! And as a caveat to any right-wing bloggers out there who are thinking about arguing otherwise over the next four years, you should consider this: if you insist upon indulging this conspiracy theory that Barack Obama was never officially sworn in as President in 2009, and Obama is re-elected in 2012 (which is very possible), and he is then sworn in at the 2013 inauguration, you therefore must concede that he didn't become President for the first time until 2013; and if you concede that he didn't become President for the first time until 2013 then you must also concede that after those four years end in 2016 he gets to run again for his "second" term. So after carefully considering the prospect of 12 years with Obama in the White House, are you sure you still want to argue that Obama is not our current President because he was not officially sworn in last week? Oh and, by the way, no matter what was said or not said on inauguration day, the 20th Amendment automatically makes the President-Elect become the President at noon on that day.